First published on MedCityNews.com. 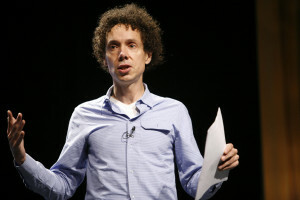 Being a storyteller, Malcolm Gladwell was able to eloquently illustrate some of the challenges with interoperability in healthcare, and how they should be addressed, during a keynote at West Health Institute’s recent Health Care Innovation Day (First published on MedCityNews.com. Being a storyteller, Malcolm Gladwell was able to eloquently illustrate some of the challenges with interoperability in healthcare, and how they should be addressed, during a keynote at West Health Institute’s recent Health Care Innovation Day (hat tip to Dan Munro). His anecdotes in the talk highlight how interoperability has come about in other industries. The first had to do with the Israeli military in its decisive victory over the Syrian Army in the Bekah Valley turkey shoot in the early 1980s. A decade before, the Israeli military had experienced devastating loss from air missiles fired by the Egyptian military during the first day of the Yom Kippur War. After that, the Israelis went through a period of soul searching, Gladwell explained, where they studied up on Russian strategy and U.S. weapons and technology, and then put them together to create a winning strategy that used a combination of drones, airborne warning and control systems aircraft, and precision-guided missiles. They didn’t invent any of those technologies, but rather enabled them to work together. Part of the problem, he suggested, might have to do with framing. Consider the story of Malcolm McLean, a shipping industry entrepreneur in the 1950s who grew frustrated with the tedious, expensive process of loading and unloading at docks. His solution, which eventually revolutionized the industry, was to utilize metal shipping containers that would detach from the wheels and frame of a trailer and fit directly into ships, removing several steps from the process. “He doesn’t invent the shipping container,” Gladwell explained. “He realized the only way to solve the problem was to build a system around the containers.” That involved retrofitting his trucks, experimenting with containers to make them fit, working with manufacturers to make cranes that can lift the containers, strengthening the docks and working with longshoremen, whose job his process was essentially taking away. Whereas others before him had been trying to solve the problem of shipping things less expensively and more efficiently, he looked more broadly at the problem as one of moving cargo from point A to point B and was able to come up with an interoperative solution. Leadership in interoperability should come from parties with the most to gain, he said, referencing health insurers in particular. West Health’s website requires registration to watch the video, so I can’t embed it, but it’s a great talk that’s worth a watch here.